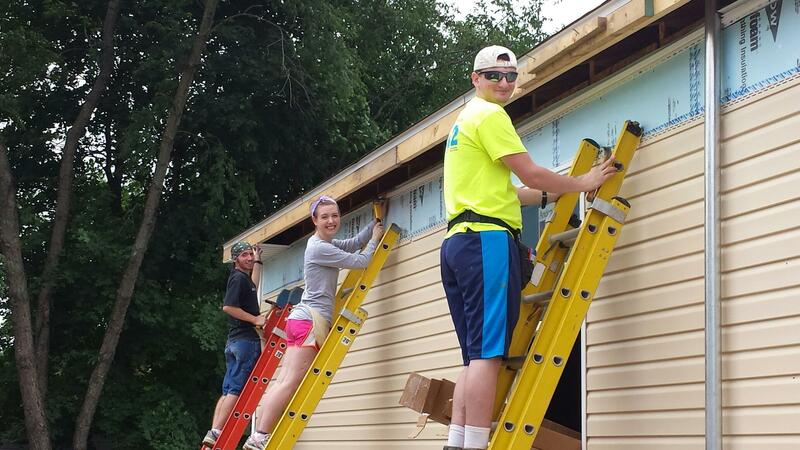 Today marks over halfway through our mission time here in Canton. While it is sad to be over the hump, the team has made a valuable impact on people’s lives, as well as many great memories. Waking up early is becoming easier every day, and by our last day on Friday we will certainly be able to arrive to breakfast on time. Jacob Dietz, Zack Morris and William Crowson gave the morning devotional. We then all made our way to our worksites. We once again had a siding site, as well as drywalling the Bell household, the house of the future homeowner Jim who’s story made the last nightly recap. 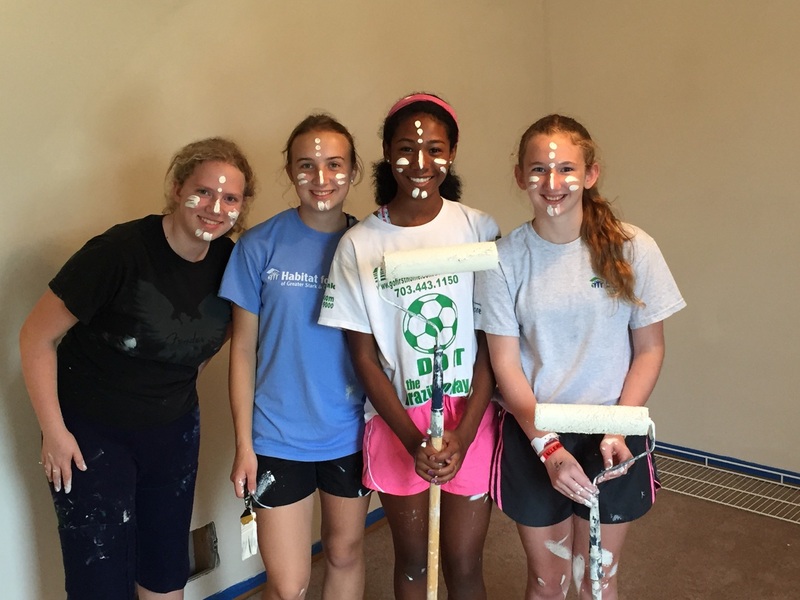 Our last team went to paint at a Habitat rehab house. The siding crew did work very similar to days past, however today started with a rain cloud. Figuratively and literally as one of our team members did not feel well and could not participate, as well as a little drizzle of rain. However the rain shortly ended and the team found their work groove. 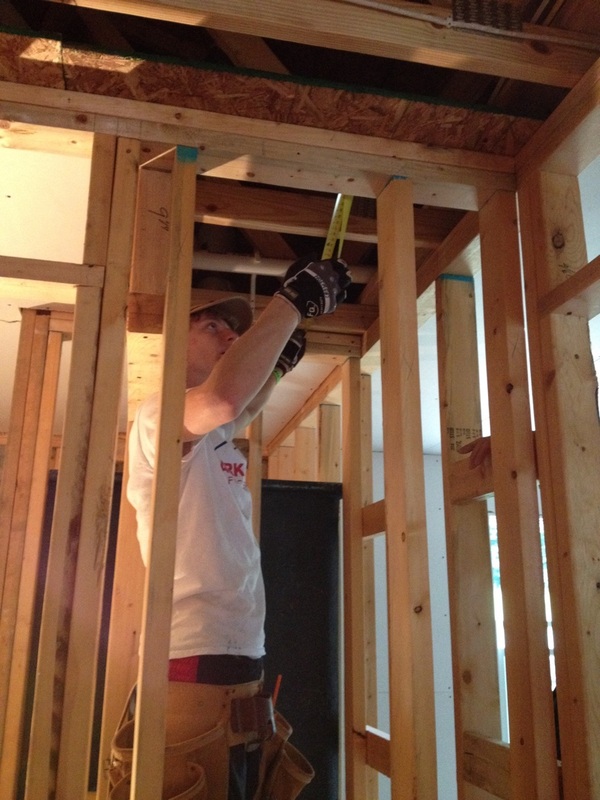 Next door was another Habitat house that was being worked on by a team from Timken Steel, a local corporation in Ohio. The team was treated to lunch by Timken, and even enjoyed their fellowship. The day was finished with more work completed than expected, and our ill teammate rejoining the group. Praise God. After work time the afternoon was spent by all relaxing. Many of the adults took naps while many of the youth washed off the day’s grime and sweat by lounging in the pool. Zack Morris had an unfortunate run in with a carpenter bee, and got stung on his big toe. While it makes for a heavy limp, he should be okay with some painkillers and a good night’s rest. Dinner was chicken and pasta in a cranberry wine sauce, a Mike Dinsmore classic featured at many crosswalk dinners. Claire Gallihugh and Ajia Kirkpatrick gave the evening devotional about what a blessing it is for God to put you in an opportunity to help someone. The evening was finished with fellowship and s’mores. All we do, we do for Him. Love, the Canton Mission team.